I bought this product in Nov 2013. The specifications were very good for its price. I had a problem with it needing to be powered off and restarted when it was idle. This was resolved by a firmware update. Even though I had iBerry's own cover on it, the Gorilla Glass screen cracked because of a 2.5 feet fall from the arm of a sofa. I was told that replacing the screen would cost Rs. 9000. I decided not as the cost was very high compared to the price of the phone itself. The phone continued to work well for 5 - 6 months afterward, apart from the cracked screen. Then about a month ago, the rear camera stopped working. I was told to update the firmware. I asked whether they knew that it would solve the problem as it seemed like a hardware issue to me. Upon hearing yes, I updated the firmware. The rear camera still didn't work. Now, the problem of idling to death came back. If you let your phone go into sleep mode, then it becomes unresponsive and needs to be powered off and restarted. Needless to say, a very nasty problem introduced by the new firmware. I was asked to take it in to the collection center which I did. After a few days, I get a call saying that the touch screen is not working and fixing it would be 9000. I claimed that the touch was working fine when I gave it to the collection center and this was verified by the collection center officer, who also noted that the glass was cracked. Now, after a month of back and forth, I am told that the spare part for the screen is not available (I am still being asked to pay 9000, which I am refusing) and that the spare part for the camera is also not available. I am completely frustrated with their attitude of trying to shift the blame for damaging the touch screen in their repair center and asking me to pay for the repair because the glass was cracked. Never again! They Really hfave A customer support. 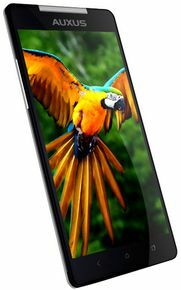 I have purchased this phone from ebay on 20th.marh.2014.camera is not 13mp.photos brightness is down.sometimes applications running automatically.battery drained quickly.in full screen mode camera automatic set to 8mp.very poor service.plz.donot buy. Notice send by Rahul Deep to IBerry India but they didn’t respond..